Gunther was referring to the task at hand, bringing in the frozen grapes that were left in the vineyard for animal feed. But what Gunther did not realize, was that those grapes were gonna make some magic, ice wine (eiswein). The frozen grapes did not rot, they came in clean with a long harvest behind them. The water in the grapes froze, leaving pure must and nectar. The first ice wine was underway! The grapes were brought in frozen, crushed frozen with the absence of water. The result was ice wine, a wine full of intensity. It smelled of lychees, mangos, honey sweetness; but it remained clean and fresh with acidity. Germany, Canada and New York state have gained notoriety for their ice wine. Ice wine is now known as being very expensive for it is only harvested when the vintage permits. When the time comes to harvest ice wine; the clock begins ticking and a work force needs to be brought to assist Gunther in harvesting the grapes before the ice melts. 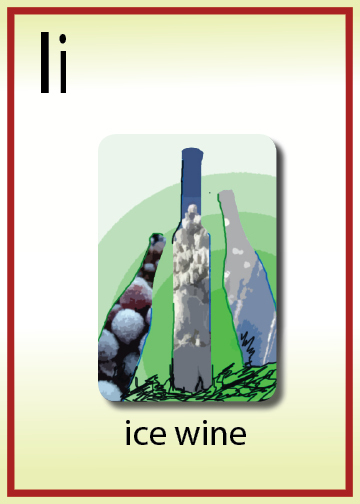 So many crucial elements need to fall into place to produce good ice wine. For this reason, when we see it on the shelf, it comes with a $$$ price tag. I Must Have Two Lives…Two Lifetime Krug Experiences.